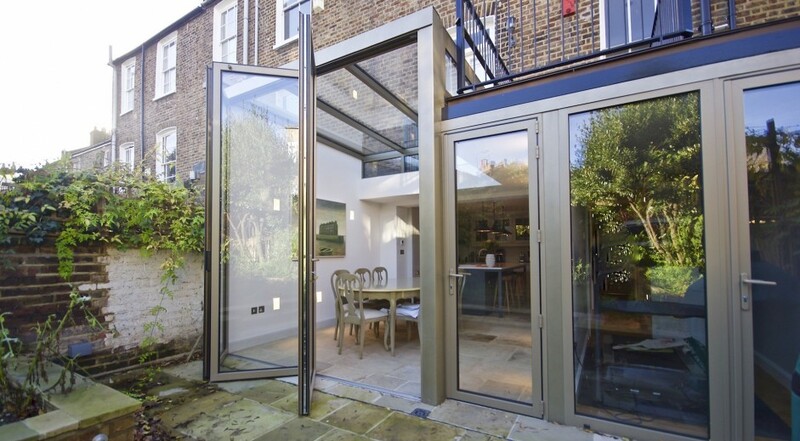 A North facing two-storey extension reconnects with the garden and sky in Islington, North London. The fine Victorian townhouse property is located within the De Beauvoir Conservation Area. It is identified as making a positive contribution to the character and appearance of the Conservation Area. From the outset, three design constraints were instrumental to the form of the rear extension and key to the final configuration. The provision of a well equipped and spacious kitchen was central to our client’s requirements. The small galley kitchen was not suitable for a house of this size. A new bedroom to the lower ground floor would not occupy the previous dining room space. The most problematic but desirable outside space was the retention of the existing roof terrace area. Accessed from the raised ground floor lounge it provides a pleasant outside space. 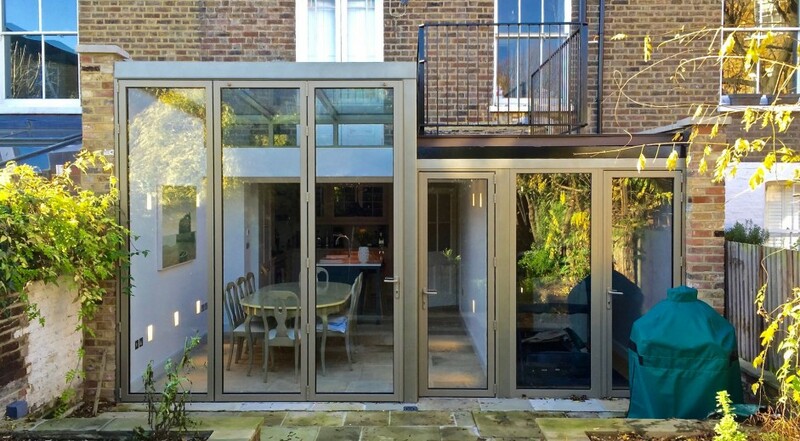 A rear extension takes the form of a full-width aperture to the rear of a property, but the existing roof terrace was retained. This provided an opportunity to establish a hierarchy of spaces which determined the form of the rear extension. The new larger kitchen and dining room of the rear extension is remodelled to take advantage of the North facing aspect. The kitchen reconnects with 3m high folding sliding doors to provide framed views of the garden. The roof to the kitchen extension is glazed and looks to the sky to bring in as much light as possible to the north facing rear garden aspect. The gymnasium benefits from its garden location and enjoys framed views of the garden. The roof terrace has level access from the rear lounge and can be enjoyed when entertaining guests. 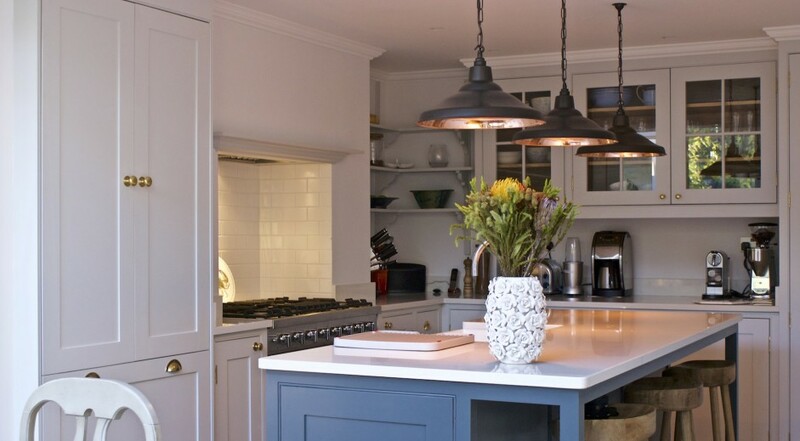 A bespoke hand-painted timber kitchen has been designed to our client’s exact requirements. 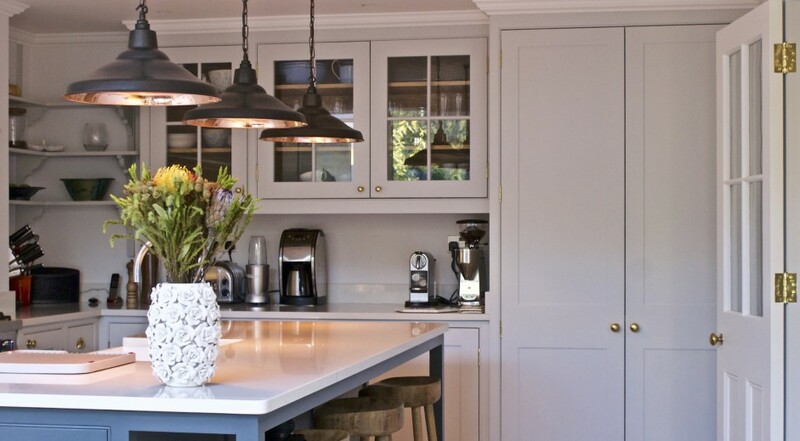 The paint colours conceal solid timber drawer and carcase linings with full height walk-in larder. 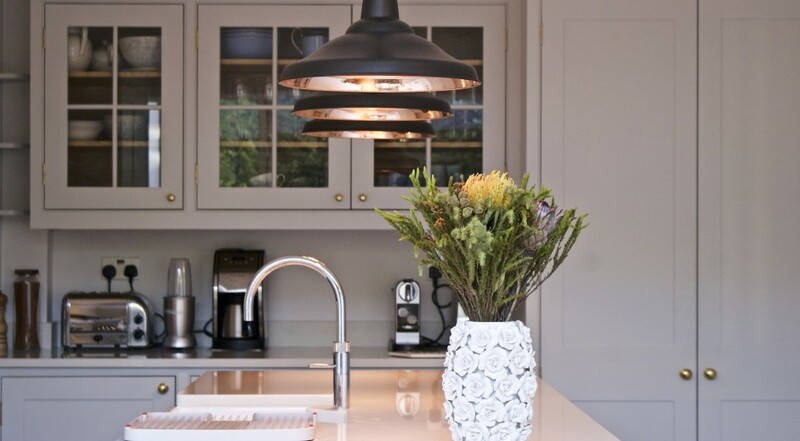 The kitchen island is a fine Carrera marble work-surfaces with a contrasting colour to the breakfast bar island. 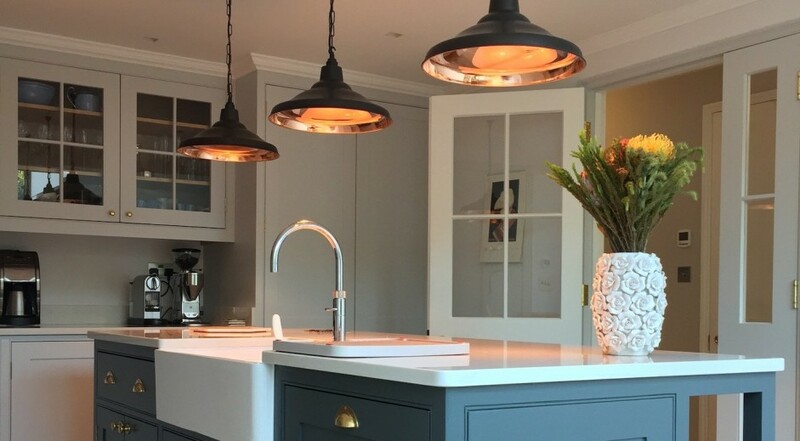 Click here for an art-deco house refurbishment. Or here for an office refurbishment.